The gnomes are just simmering on the back burner, because I didn't work on them today either. 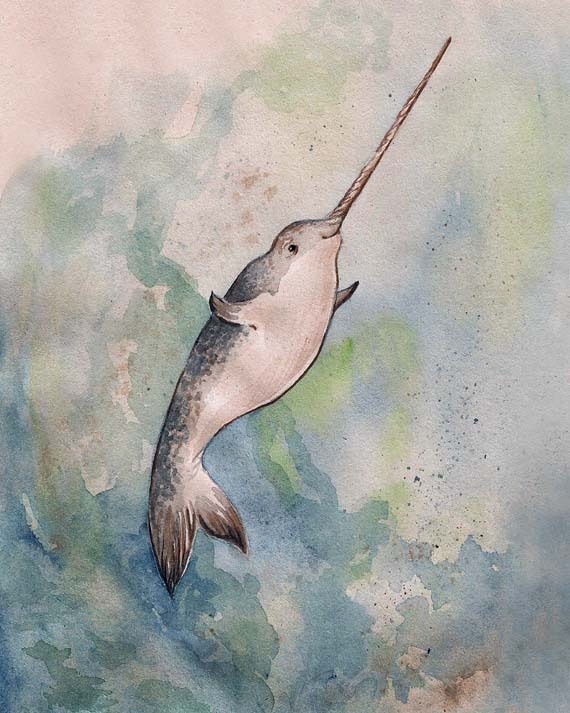 Instead, I painted that narwhal I was thinking about. He's not knitting--I still intend on drawing a knitting narwhal--but I think he's still pretty cute? This isn't easy to admit, so I'm just going to say it. 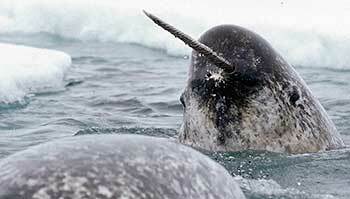 Until last month, I didn't know narwhals were real. No, I'm serious. 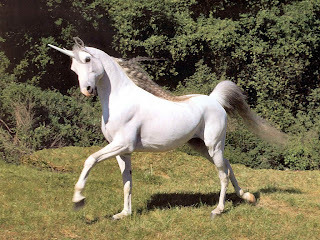 I had thought--somehow for some reason--they were mythical. I don't really have an excuse for this. I'm 30 years old, I consider myself to be moderately intelligent, I was in AP classes in high school, I'm a college graduate. I should have known this long before now. Really, there is no explanation for why I didn't realize narwhals were a real creature and not an imaginary beast. In my defense, they don't look real. How is that real? It looks like a cartoon character. In my life I had only seen drawings of narwhals, usually fighting unicorns. I had never seen an actual narwhal, not even a photograph. Had I seen a photo, maybe I would have realized they were real. Then again, maybe not. Whatever the cause, I was under the impression they were magic and the stuff of legends. A good example of this is when I saw the movie Elf, and the narwhal showed up. I laughed along with everyone else, but I thought the joke was he a magical friend, like the elves and Santa. 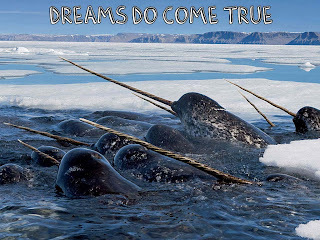 My whole life was like that, hearing about narwhals only in the context of fighting unicorns or living near the North Pole. So a few weeks ago when I asked friends to suggest creatures for my Noah's Ark sketch, and my friend Carlos said "Narwhals! ", I chuckled to myself. Hold the phone, I thought. If there's one thing Carlos hates, it's being wrong. Like, not even on a joking level. ...That I was some kind of idiot. As though I'd tripped and fallen face first into a hive of leprechauns, I tweeted and posted my shock. Articulately I posed the delicate question, "WTF NARWHALS ARE REAL?" I texted friends back home in a panic. "Um...Yes, moron?" was the universal response. For about twenty minutes my world flipped upside down. What else was real? And after exhausting Google and Wikipedia, I went to Youtube, and watched videos of Narwhals in utter, childlike amazement. Try to understand...imagine someone brings you to a zoo and they're like, "And this is where we keep the dragons. What? Of course they're real." It really blew my mind, in the nicest way possible. Suddenly, there was actual wonder left in my adult world. I had been having a truly awful day up until that point, and then here was this lovely and totally unexpected surprise. 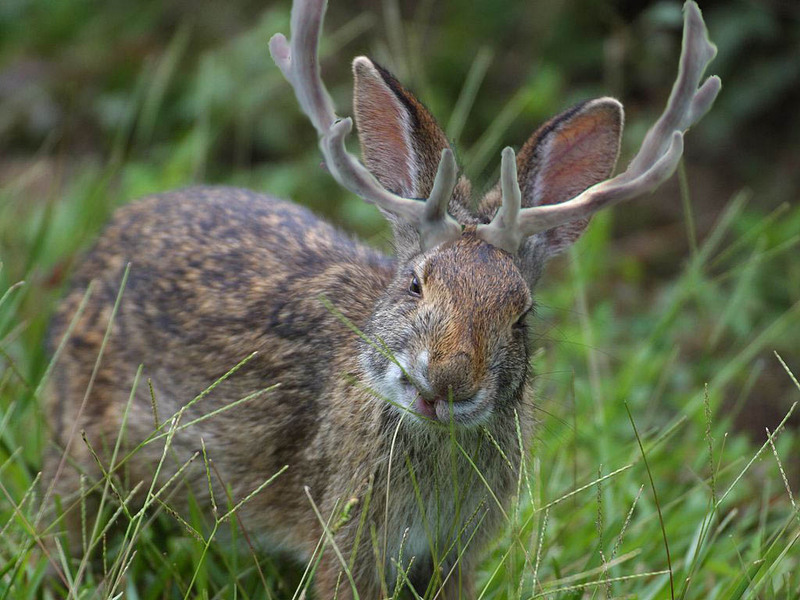 Only through Photoshop could I properly express my joy. The day went on, and I received a flood of narwhal photos, videos, and facts from friends. It turns out my sister also did not know they were real, and her mind was similarly blown. Parents, teach your kids about narwhals. Destry dutifully wrote out a long list of creatures, including giant squids, Tasmanian devils, and flying squirrels, to make certain I knew they were all real (I did). As the week went on, our friend Stephen even presented me with my own narwhal. So, as silly as it is, that's my confession. Sure, it was dumb, but my happiness in discovering my mistake far outweighs the embarrassment of sharing it. I'll sum it up with what I wrote that night, "This morning I woke up sad. However, over the course of the day I discovered a mythical beast is actually a real creature. And someday, I could meet one. The lesson? Even on a bad day your world can improve a little, even if it's just how you perceive it." I was thinking the same thing, you will need two narwhals to knit properly. And thank you for posting this, it is nice to know other people don't know everything either. The world should always be full of mystery. I would be sad if we truly knew everything. You just told the story of my life up until ten minutes ago. I just found out they are real today. My father in law laughed and didn't believe me, so I just played along. After he left, I googled and found this. I am 33, so don't be too embarrassed. Thank you for making me feel a little less embarrassed. I like them even more now that I know they're real. Silly cartoons to chase the gloomies away. The Sketchbook Project 2012 - Mailed! The Mystery of the Cabin Fever!